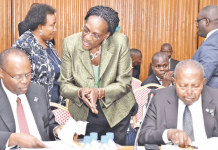 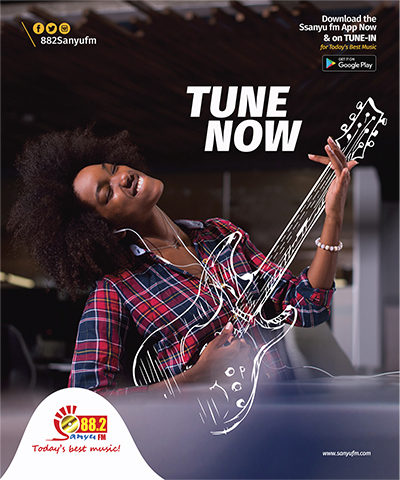 The Parliamentary Committee on Statutory Authorities and State Enterprises (COSASE) probe into the controversial takeover and sale of seven commercial banks by the Bank of Uganda has taken a new twist. 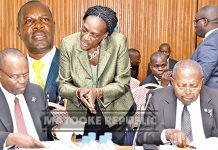 This is after Tito Opio, the Central Bank’s Head of Security told the MPs that CCTV cameras on February 11, 2018, caught the driver and bodyguard of Former Director of Supervision for Commercial banks, Justine Bagyenda, stealing vital documents. 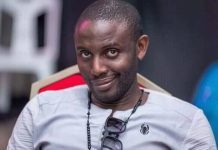 Opio says that when he heard reports of files missing from the Central Bank, he instructed his team to review CCTV footage that revealed the duo stealing the documents in a car belonging the bank’s on-the-run ex-official. 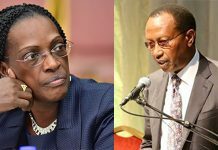 “Yes we heard about the reports and when we checked the cameras, we saw a car belonging to madam Bagyenda carrying bags of documents out,” he testified. 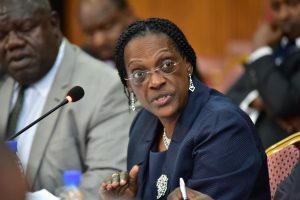 Upon further questioning, Opio revealed that the stolen files which were in three bags were later returned although less by one bag and when Bagyenda was queried, she said that they contained items she had bought from overseas where she has reportedly travelled. 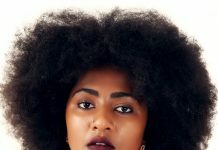 “By the time we got the search warrant, she had travelled so when she returned at about 3 pm, the files were returned at 6:00 PM to her office. 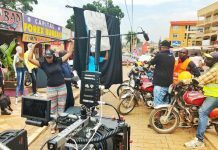 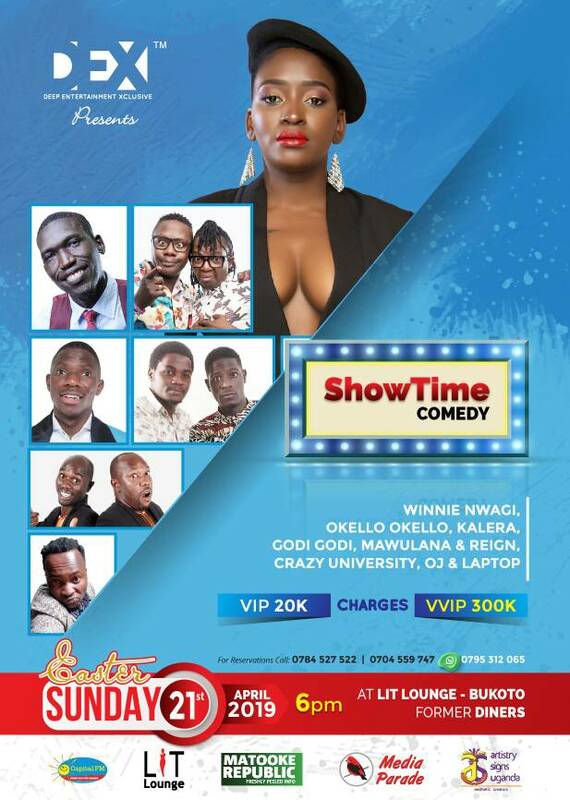 When asked what they were bringing, they said it was what she had brought from abroad,” Opio added. 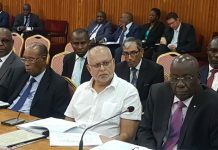 MPs got concerned as in what form they were returned considering that several documents pertaining to the sale of Teffe Bank, Greenland Bank, Crane Bank among other banks have all turned out to be missing. 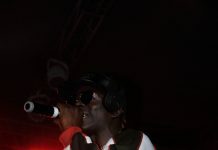 This prompted the committee chairman, Bugweri County MP, Abdu Katuntu to summon the duo together with their boss on Thursday at 10:30 am, failure of which, he will issue arrest warrants against them. 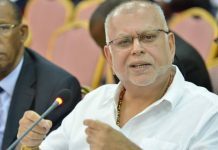 The BoU probe has yet to yield any fruits because the relevant documents, vital to the investigation have all turned out to be missing from the Central Bank’s offers. 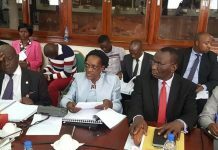 Bagyenda who fled the country on Friday last week under the guise of attending a Trauma Conference in Texas, USA, is the only lead to retrieving the missing documents but with a cloud of doubt covering her appearance on the said date, the committee’s progress hands in balance.